We have been servicing Harpenden and the surrounding villages for over 5 years now and have built up a great reputation for our quality of service and reliability in the area. 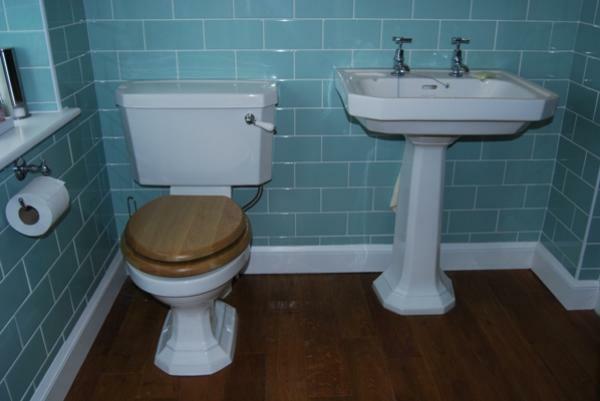 At Plumbsmith we specialise in bathroom design and installation and pride ourselves on a high quality of workmanship which includes the following skill-sets; Construction, Tiling, Carpentry and fitting - an all round service which takes the client from initial design through to completion. On top of this we undertake all kitchen plumbing and appliance fitting and operate a 'no job too small' attitude to quotes and will complete all typical domestic and commercial work. Our aim is to achieve an on-going business relationship through continuous and exceptional quality of work, together with a sensible and transparent pricing policy. Don't just take our word for it, have a look at our testimonials. Fitting Kitchens, General Carpentry, Flooring, Tilling, Electrical work and Home Improvements. Facebook review - They are awesome!